The Karnataka state government has launched a new scheme which aims to boost the IT (Information Technology) sector for Entrepreneurs. Rajiv Gandhi Entrepreneurship Scheme mainly converged to improve the IT sector for new innovators and Entrepreneurs, which will offer better opportunity to improve their future. The government also aims to promote and strengthen the Karnataka state in the IT sector. 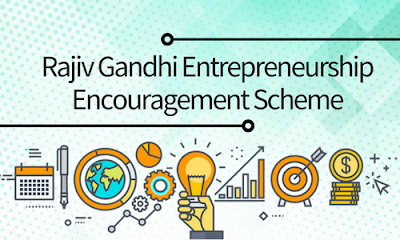 The main focus of Rajiv Gandhi Entrepreneurship Encouragement Scheme is to make an innovation-driven entrepreneurial eco-system. Further, a creation of new employment and wealth are the most significant characters of socio-economic development for which state government will help growing entrepreneurs. The prime motto is “Driving Innovation Through Disruption”. This scheme will give this initial fellowship for risk mitigation for a new business idea. Furthermore, this scheme also aims to make entrepreneurship a more engaging and productive work opportunity to bring positive energy in science and technology. In the first stage, approximately 1000 growing entrepreneurs will be chosen. This new scheme basically converged on forming a team of new entrepreneurs and to encourage new innovators to offer with their participation in the sector for expansion. This new scheme is officially launched with an intention to achieve the dream of IT revolution in the Karnataka state for the new IT professionals and graduate students who offer their innovations and ideas for development in this sector. As per the recommendations collected by sources, the new initiative will encourage the young IT professionals to offer their contributions towards this sector and offer with developmental ideas. The state government has announced that it will give the scholarship to the right applicant for giving the right type of business plan to the state government. This new scheme is also centred on creating a team of entrepreneurs to encourage innovations and more work options for candidates in IT field. This new drive will also help the state in improving and going forward in the IT area towards a positive direction. By implementing the new drive the government intends to make positive change within the state in technology and along with it try to create enough job openings for a fresh generation. This scheme will also support to improve the social and economic status of the state as it will promote a number of teens to join in the IT development sector. This new movement will help to make the state reliable in IT sector that means a more number of people perceive an opportunity. This scheme is primarily focused on sustaining innovations and ideas by teens of the state. The state government has started to offer a grant of Rs 30000 to each individual entrepreneur with plans for development. The state government also offer 30 percent as a mentorship to the youth for giving his idea after implementation. Under this scheme, the state government will give a grant of Rs. 30,000 to each individual entrepreneur having innovative approaches. Along with it, the state government will also give 30 percent as mentorship to youths for their plan and ideas if the idea goes successfully after implementation.